The AKG K181DJ headphones were designed in cooperation with leading international DJs. This Studio Headphones Pack includes 4 pairs of Sennheiser HD 202 headphones and a PreSonus HP4 Discrete 4-Channel Headphone Amp. Washington D.C. gets “Fresh” with new AC station. It’s official: Internet surpasses radio. Senate joins the royalty fight. Radio One wants Sirius XM spectrum. Univision brings Todobebé to radio. Lars Larson launches with 90% of former affils. Another Smooth Jazz has bitten the dust. This time, in Fort Myers, FL as 100.1 WZJZ has begun stunting with a loop of a line from Reel 2 Real’s “I Like To Move It”. 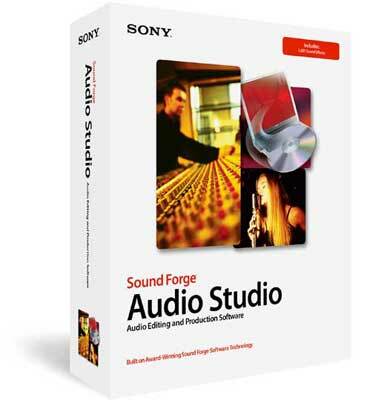 Sony Sound Forge Audio Studio: Record. Edit. Produce!Sound ForgeA Audio Studioa software is the easy-to-use program that lets you record, create and edit your own music on your PC. Is Smooth Jazz On The ‘Move’ In Ft. Myers? Radio shines in Fargo flooding. Katz reaches deeper into agencies. Elvis Duran links with Premiere. Analyst: Clear Channel to keep Arbitron. Larson holds 90% of affiliates. Glenn Beck – the new king of cable? Joanne Grand joins Land Shark Promotion. BIA: Online up $132 million a year. Station picks people over streaming. CBS Radio’s online cume jumps 13%. Stations shoot for the end zone. How big is the World Cup? More papers to stop the presses? Nielsen’s looks for high-tech option. LPFM bill takes on translators. CBS gives NTR an executive upgrade. Emmis sites add web TV. Radio gets Ramsey town hall. THL: Happy with Clear Channel.